Glencadam Distillery opened in 1825 and since then little has changed. 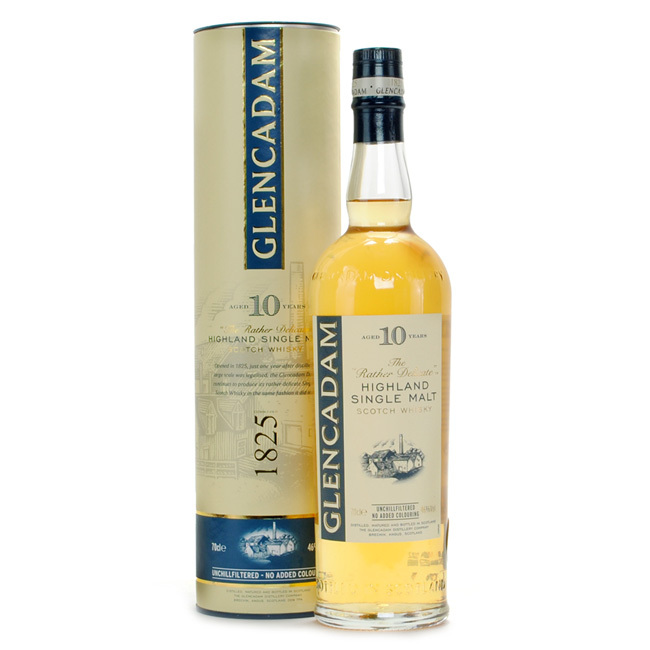 Multi-award winning Glencadam Highland Single Scotch Malt Whisky Aged 10 Years is a fine example of centuries of craftsmanship and tradition. “The rather delicate” malt with a beautifully balanced, pure flavour. Jim Murray is recognised internationally as the leading commentator on the world’s whiskies and Jim Murray’s Whisky Bible, published yearly, is the world’s biggest selling whisky book.